Free! Refreshments will be provided. 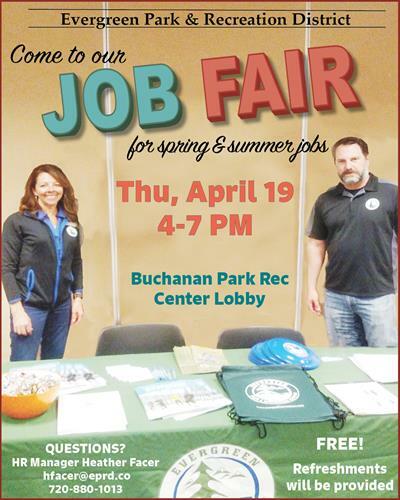 Find a list of jobs at http://www.evergreenrecreation.com/District_Info/Employment_Opportunities.htm.